“Go forth and influence!” was the message of a recent workshop encouraging churches to be vocal with our views, to bring our beliefs and values to the public discourse. We will not jeopardize our non-profit, 501(c)3 status as long as we do not engage in party politics or endorse candidates. There is no restriction on “issue advocacy” which is expressing our views on an issue generally, without a call to action on a candidate. We may also do some express advocacy (also called lobbying) for bills and propositions. The only caveat is that lobbying should represent an “insubstantial part” of our total activities (a case-by-case decision, but 5% as a general guideline). The UUA has a 20 page document called “The Real Rules” with a thorough explanation. 1. ISSUE ADVOCACY: Without limits on time, effort and expense, congregations and their representatives may engage in issue advocacy through activities such as educating and mobilizing congregants and the general public. Example: encouraging the public to show concern for global warming by reducing carbon emissions. Please note that issue advocacy is only acceptable if it does not involve political campaign intervention (see below). 2. LOBBYING: Within narrow limits on time, effort and expense, congregations and their representatives may engage in lobbying – defined by the IRS as advocating for or against specific pieces of legislation – as an “unsubstantial” portion of an organization’s activities. The IRS has not provided a strict rule for what constitutes “unsubstantial,” and evaluates on a case-by-case basis. However, courts and the IRS have ruled in the past that lobbying activity constituting 5% or less of total activities is acceptable. “Total activities” includes the total amount of money, staff, and volunteer time that goes into running the organization. While the 5% amount is not a strict rule, it can be used as a guidepost for an organization’s lobbying activities. Example: encouraging a city council, state legislature, and/or Congress to pass a particular law to reduce carbon emissions. 3. POLITICAL CAMPAIGN INTERVENTION: There is a total limit on partisan activity, which the IRS calls political campaign intervention. Congregations and their representatives can do nothing that advocates for or against candidates for public office or political parties. This includes fundraising on behalf of candidates and donating meeting space, among other things. Example: supporting a particular candidate or party because of their stance on carbon emissions. Election-related activities such as candidate questionnaires and forums may be acceptable if certain guidelines are followed; consult section C., “Political (Electoral) Activities” of this guide for details. The restrictions on lobbying and political campaign intervention described here apply only to a congregation as a legal entity, or to a person or group speaking in the name of the congregation. A minister or congregation member may freely engage in these activities as an individual. However, if the person(s) are identified by or likely to be associated with the congregation, it may be helpful to clearly state that they are speaking as individuals. Rev. 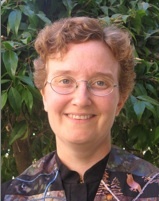 Amy Zucker Morgenstern has served with UUCPA since 2003. With a background in studio art and religion and a passion for social justice, Amy is an inspiring presence for people of all ages. Meet all our ministers here. The Justice Partner for April is Acterra.